I love your theme, Erin. It is perfect for your style. Last night my very opinionated neighbor was over here. We were clicking around the participant list and I showed her your work. She loved it…as do I. I’m looking forward to seeing all of those marvelous parts come together! You go, girl! I loved your work from last year’s class. Your style is something that I very much enjoy. Jules Verne was one of my favorites as a kid. I look forward to seeing your take on around the world. I loved your work from last year’s class and everything you have done since. 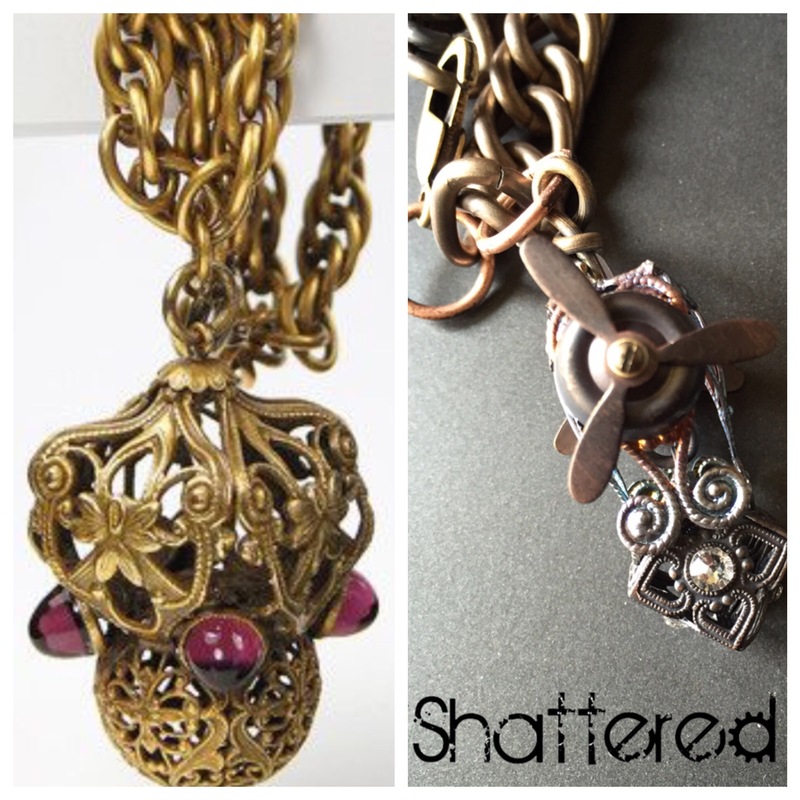 I am so fascinated by steampunk jewelry. 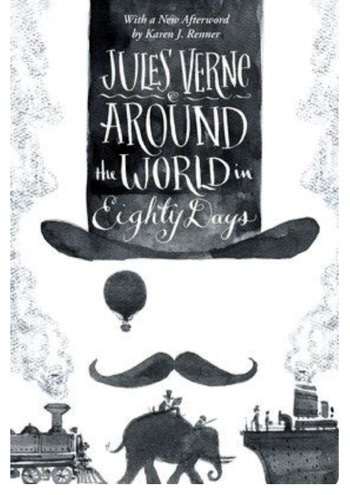 I think the “Around the World in 80 Days” theme fits your style perfectly. Your theme to your line sounds so fun! It will be great to watch how you create this line.Your line last year was very cool! Hi Erin, I love your blog. You have lots of great exciting and engaging pictures. Your theme is marv-el-ous! Who didn’t want to fly around the world in 80 days?! I loved that book and movie, and I’m sure you’ll have many customers looking forward to what you make! I can’t wait to see what you do with the trains…they make me think if the Wild Wild West! I’m so glad your in this class with me. Looks like it will be such a fun line! Love the theme Karen. Certainly enough components to create your line. Im sure your creations will be unique and cool as always. Erin, so happy to be taking this journey with you again. I was so impressed by the creativity of your line last year! I know your new line will be just as awesome… can’t wait to see it! Love the propeller piece and you have selected a very original theme. 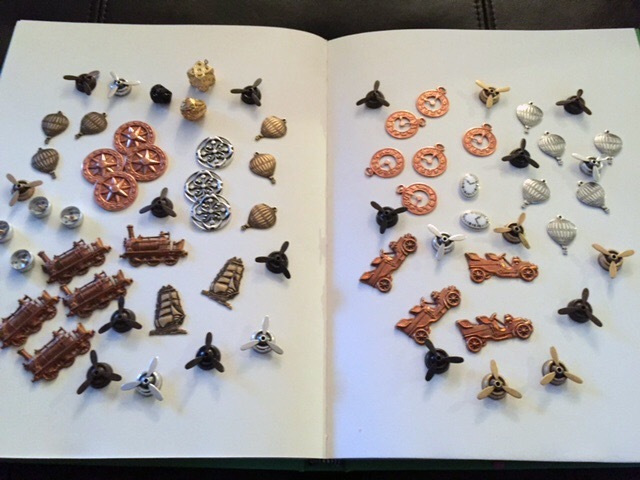 I know you are going to make something great with these pieces. I’m sure this will be a great line. Hi Erin, I absolutely love your theme. That is such a creative idea. I can’t wait to see what you do with it. I’ve loved your previous work, so I’m sure these pieces will be just as great. I’m happy to be sharing this wonderful journey with you. What a great theme! I will definitely be watching and waiting and looking forward to your line. See you in class. Love your unique theme. Looking forward to seeing your line of jewelry. This is an *awesome* idea when you’ve got a steampunk thing going! I really love your travel stampings; I hadn’t seen them before. This is going to be really neat! 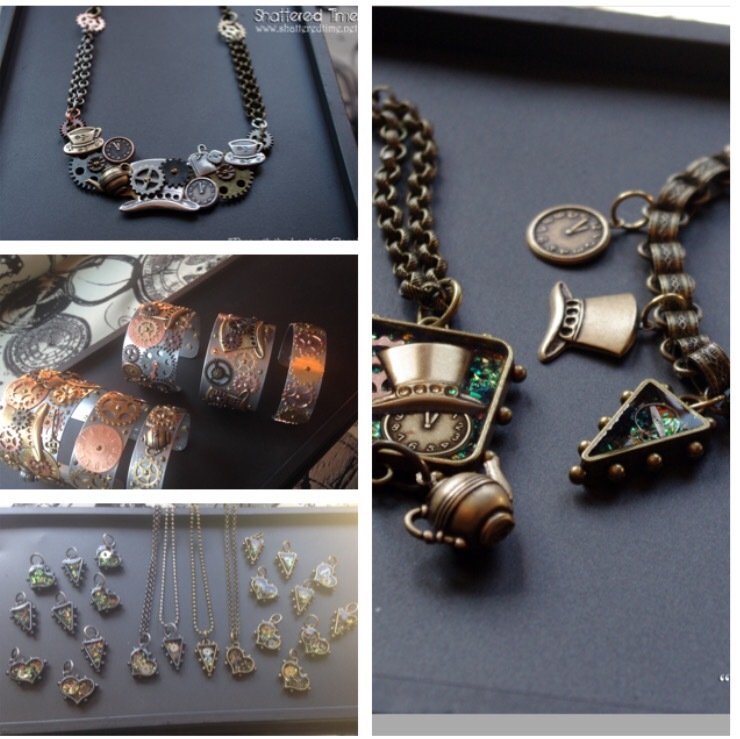 Love your Steampunk line and am looking forward to what you create through the class. Great blog! Great Blog ,Great Pics I love your choice 80 days around the world,great book and great movie. I am looking forward to seeing your finished work. Alice in Wonderland and Industrial go well together. I love the raw look of the inductrial. . this should be fun! Did a Steampunk in the Garden myself for last years BALC. So much to do and so little time. . .oops. . .Charlie and the Chocolate Factory! I did Steam punk in the Garden last years BALC! So many things you can do with this! What fun! I LOVE all things Alice! Thanks for sharing with us Erin! Your line from last year was amazing! Can you outdo it this year?! Maybe! I love the theme that you have chosen. I’m not sure which book I like best, but I definitely like that your inspiration is literature! I’ve been waiting for someone to make something awesome with those hot air balloons for awhile now, I look forward to seeing what you make – I know whatever it is, it will be awesome! Sorry I am a little late to the party – that darn day job has a tendency of getting in the way… cool idea! I love that everybody’s ideas are so different, and looking forward to see what we all develop! Love your theme, Erin … your line last year was wonderful, and I know you’ll be coming up with some super designs this year! What a fun idea. 😉 I’m really glad to be in the BALC with you again! So your theme last year is about watches? Cool!! For this year’s theme “Around the world in 80 days” is surely great! Looking forward to see your design! Love your theme, and all the pieces you’ve chosen! Can’t wait to see the reveal!